Unpredictable Worlds, a five-star-rated fresh release, normally $3.99 on Kindle, now FREE this weekend! Saturday, July 18 through Monday, July 20, this collection with award-winning stories can be yours at no charge. A teacher controls her students with an edible microchip. A reporter turns into a rhinoceros. A couple’s efforts to eat local go frighteningly awry. If you’re looking to be surprised, puzzled, or just plain entertained, pick up this omnibus. There’s something for everyone! 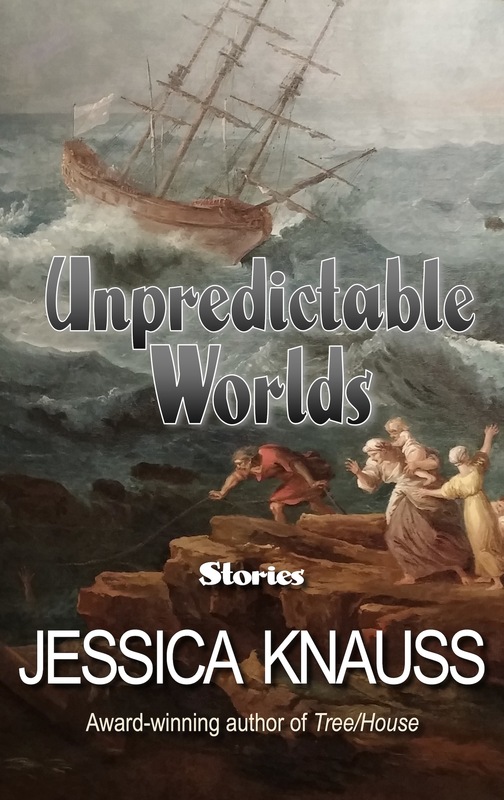 More than twenty years in the making, Unpredictable Worlds contains all of Jessica Knauss’s published and prize-winning short fiction as of March 2015 and a few of her best stories never before seen in print or ebook. Zany plots and outrageous characters will stretch your belief and tug at your heart. Reviewers have called Unpredictable Worlds “funny, touching, thought-provoking, anger-inducing, and faith-affirming.” You won’t regret spending $0 on this unique journey through worlds and words. ← Unpredictable Worlds Releases in Kindle and Softcover Today!